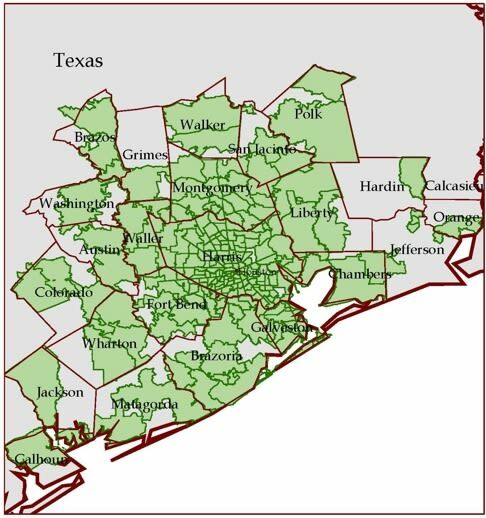 Founded in April 2013, Houstonia is the only news, information and entertainment source with content as smart, unique and exciting as the people who call this city home. From the moment the Allen brothers founded it in 1836, Houston has always been defined by a particular kind of person—bold, passionate, imaginative, plain-spoken, gutsy. Its heart belongs to the pioneer, the wildcatter, the entrepreneur, to anyone with the courage to dream big and the persistence to make one come true. Houstonia readers enjoy a sophisticated life. They define themselves by their life experiences, their accomplishments, and their interests. Whether they’re making choices related to entertainment, dining, spas/fitness, shopping, travel, museums, theater, the outdoors, or local wine tastings, Houstonia is their principal guide. Houstonia is available at 800 grocery stores, book stores, and specialty stores across metropolitan Houston, nearly all of which give the magazine prominent checkout aisle placement. Retailers include: H-E-B, Whole Foods Market, Central Market, Randalls, Rice Epicurean Market, Barnes & Noble, Kroger, Sam’s Club, Costco, Walgreens, Wal-Mart, Target, as well as key airport locations (including the Houstonia store in Terminal C at Bush Intercontinental) and many more. In addition to the magazine’s ever-growing paid home and office subscriber base, over 29,000 copies of Houstonia are placed in intensely high readership and pass-along venues, such as prominent hotels, hospitals, and physicians’ and attorneys’ offices. Houstoniamag.com is the largest lifestyle website in Houston. Our average monthly readership is nearly half a million monthly visitors and growing more than 10% each month. With a total digital audience of over 2,590,185+ between online, social media, and e-newsletters, Houstoniamag.com is the go-to guide for Houstonians. Who is the Houstonia print reader? Who is the Houstonia online reader? More than a magazine, Houstonia is dedicated to creating an environment where Houstonians can come together and enjoy memorable, one-of-a-kind experiences. In bringing the city the latest eats, drinks, entertainment, style, and ideas, we also structure our events so many of them benefit a local charity and promote community involvement and goodwill. From our existing signature events to custom projects, we are able to reach a diverse, active and affluent audience. For an upcoming events schedule, sponsorship opportunities, or to hire us to produce an event tailored to you, please contact publisher Stevi Maytubby at 832-900-8290 or smaytubby@sagacitymedia.com. In addition to our custom & signature events, we are proud to support numerous community organizations through our media sponsorship program. To submit your event for consideration, please complete our sponsorship application. Click here to complete our 2017 media sponsorship application. In 2006 SagaCity Media teamed up with Travel Portland and guided the visitor’s association through a success redesign of their flagship magazine. The creativity and financial success of Travel Portland led to our evolution into a full-service custom publishing organization. We are pleased to offer creative, editorial, sales, distribution and production services to clients with a local, state or regional interest across the United States. Our portfolio of publications has a reputation for exemplary design and editorial, and the breadth of content in our magazines, both in-house and for custom clients, attests to our ability to tailor publications to the specific interests of a variety of consumers. To inquire about custom publishing projects, and for an upcoming events schedule and sponsorship opportunities, please contact publisher Stevi Maytubby at 832-900-8290 or smaytubby@houstoniamag.com.